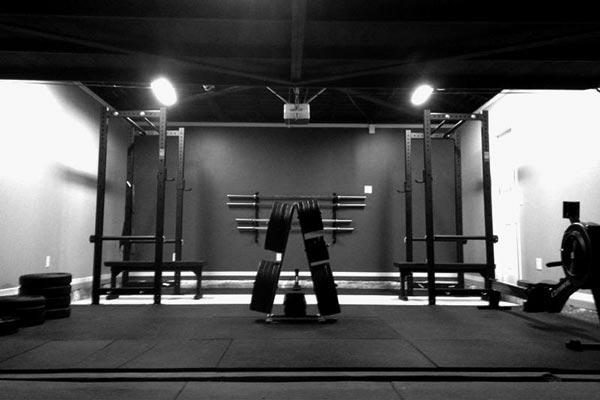 It’s Friday evening, and you find yourself in the gym. If you’re reading this article, it probably isn’t the first time this has happened, but tonight is a little different. You’re seated at a folding table, pen and notebook at the ready, focused on the front of a makeshift classroom. You won’t be lifting tonight (although you’ll do plenty of lifting over the rest of the weekend). 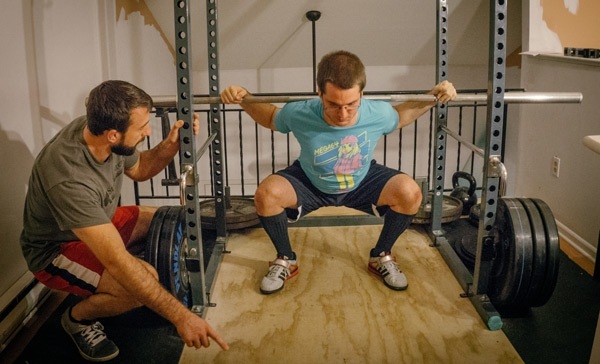 You’re there because you’ve decided to attend the Starting Strength Seminar. Rip looks around the room, clearly expecting these words to inspire looks of shock and awe on the faces in the crowd. But many in the crowd are completely nonplussed. Many of them are not coaches or personal trainers, and are thus wholly unfamiliar with the truths of how the industry works. They’re blissfully unaware of what even the industry neophytes know; that there are thousands of people who hold big-name credentials, who have bachelors and even masters degrees in exercise-related fields who are, quite simply, not busy enough. Of course this doesn’t apply to everyone. There are plenty of personal coaches and trainers out there who do well for themselves. But there are also vast numbers of certified, licensed, “educated” people who hold accredited and widely-recognized credentials that don’t have enough business to pay the rent and groceries and utility bills. The non-coaches in the room don’t care, for the most part. Many of them have come here to better their understanding of how to execute the lifts that comprise the Starting Strength system and how to program their routines in light of their day-to-day obligations and constraints so that they can get strong. A little background is necessary for those who are unfamiliar with the Starting Strength system. Or worse, those who are familiar with the Starting Strength program only from unauthorized websites that inaccurately summarize what Rip has spent so many hundreds of pages telling us in perfectly clear detail. The Starting Strength system, as you might be able to guess from the name, is a systematic approach for building strength, using the lifts that allow the body to 1.) utilize the most muscle mass, to 2.) move the greatest weight over the 3.) longest effective range of motion, in order to 4.) 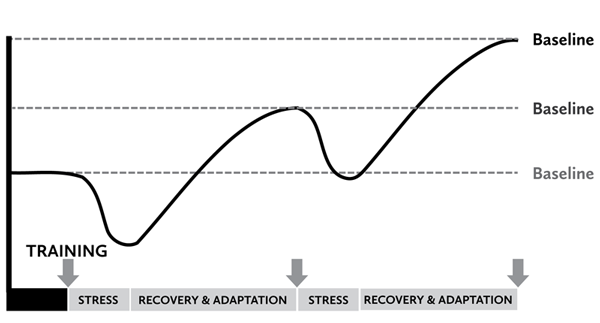 efficiently invoke the process of stress-recovery-adaptation that allows people to become strong. Regardless of the physical therapy-based fads of the day, and no matter what non-random-but-continuously-varied systems are all the rage, if we want to get as strong as we can, as efficiently as we can, we must use barbells. They’re more ergonomically friendly, incrementally loadable, and capable of being loaded to the heaviest weights humans can lift. And we must use barbells to squat, press, deadlift, bench press, and power clean, with progressively heavier weight on the bar. Those lifts fit the criteria, and are therefore most able to make you strong in exactly the way that the body as a system is capable of becoming strong, as opposed to trying to cobble together a bunch of exercises that stress the individual components to varying degrees, and which are therefore not capable of producing the systemic stresses that the body is best able to respond and adapt to. To take a further step back, I guess it’s still necessary to answer the question of why this is so important. The fact is that strength is the most important of all the physical adaptations. It lies at the base of the pyramid of physical attributes, and contributes to all of them, from balance to agility to endurance (really!). Since 2012, Rip and the Aasgaard Company have conferred the SSC credential (in its current form) upon those select few who exhibit competence in coaching the models of the lifts, as well as explaining the analysis behind their selection and programming. Rip makes it abundantly clear during the initial lecture that the evaluation portion of the seminar is designed to identify Starting Strength Coaches, not to produce them. The Starting Strength Coach certification is simply not available to the hobbyist personal trainer. It’s not for the young kid with the frosted-tipped hair who spends his hours wiping equipment and waiting for the next gullible New Year’s Resolutionary to walk through the front doors. Actual coaching (as opposed to pin-setting and cheerleading) is a profession. 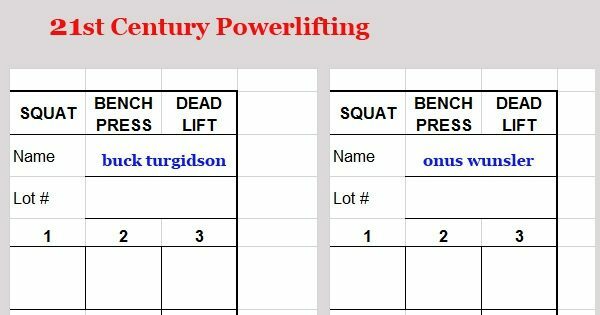 And the Starting Strength Coach certification is only for the professionals; those who are competent at actually coaching the lifts, those who understand and can elucidate the why’s as well as the what’s and how’s, and make the argument that strength is indeed the very foundation of our physical lives. It has been a mere three quarters of a year since Rip personally called to give me the good news that I had passed the essay portion of the test (and to go through, in excruciating detail, the reasoning behind every point I had not been awarded). In that timeframe, without doing any e-mail marketing, social media promotion, or putting flyers on the windshields of cars in my parking lot, I’ve had more interest in my coaching services than I have time to accommodate. But that’s honestly not the benefit that inspired me to write this article. 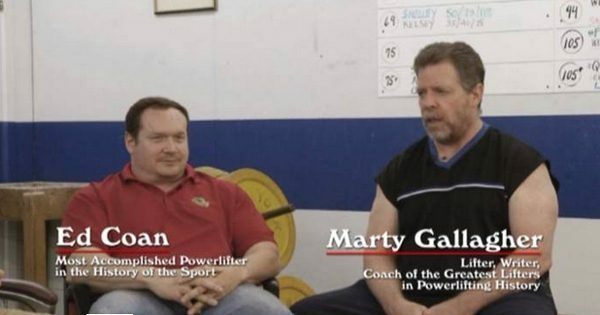 Without a Facebook page, Twitter feed, or Craigslist ad, without spending countless hours doing grunt work at a globo-gym, I can safely say (I’ve honestly lost count and failed to keep good records) that I’ve been contacted by several dozen legitimately interested trainees seeking my coaching services. Every single one of those people reached out to me after finding my name in the Starting Strength Coaches Directory. And here’s the best part: Not a single one has ever said “I just want to tone my arms.” They’ve come to me because they know what it takes to get strong, and they know I have been tested on both my knowledge of the Starting Strength material, and my actual ability to coach the lifts, a claim that I don’t believe any other credential in the field can make. That’s right: a seminar attendee is not even invited to write the essays that comprise the test for the SSC credential until he has been successfully evaluated on his ability to coach the lifts at the seminar. The fact is that I’m equipped to do something far better for these people than the young man or woman who has memorized the origins of all the musculature of the forearms, passed a multiple-choice test (the answers to which he promptly forgot), and now encourages his clients to “feel the burn” (or is it “feel the pump” nowadays?) while they swing the pink neoprene dumbbells around on the Bosu ball. More importantly: I know why, and I never forget, because I put the principles into use nearly every single day, and everyone I work with sees progress that results in the kind of shock and awe that Rip would expect from his statement about the business status of those who hold the SSC credential. The flip side is that the benefits of the Starting Strength Coach certification are not available to everyone who might like to enjoy them. While the seminar is a thorough look at the how’s and why’s of getting people strong, coaching is not a skill that can be obtained in a weekend seminar any more than is the ability to play the piano (credit is due to Rip for that analogy). If you just want exposure to the material and practice in the lifts, the seminar is an excellent opportunity for an intense and extensive primer and/or refresher. But unlike other weekend certifications out there, the majority of attendees are awarded a simple certificate of attendance, while only a select few (somewhere on the order of 10-20%) of the attendees will pass both the platform evaluation and the written test. 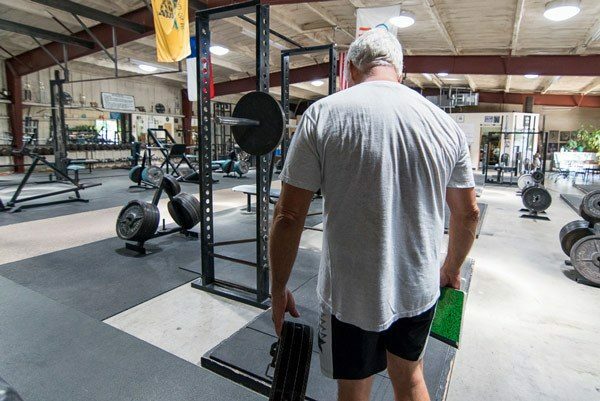 Most seminar attendees have no intention of being evaluated as a coach – as previously mentioned, they are there to learn about barbell training. But some coaching candidates do pass. Out of each seminar, in which attendance is limited to 25 (the evaluations of coaching ability and lectures are delivered by Rip and 5 “Staff coaches”), a few attendees will make it through the platform coaching evaluation, and of these, approximately 2 or 3 will successfully write acceptable responses to the essay questions. 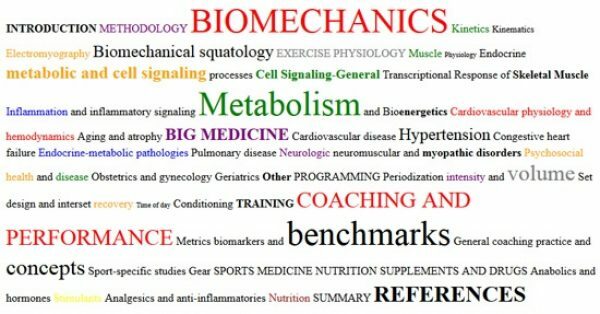 If you’re truly versed in the subject matter texts (Starting Strength: Basic Barbell Training, and Practical Programming for Strength Training) and capable of coaching the lifts outlined in SS:BBT3, and you either need more clients, would like to command higher rates for your time, or simply hope to increase the quality of the clientele you have the opportunity to coach, there is no certification available that offers the value of the SSC certification. Mine hangs proudly on my wall, and I am humbly grateful to Rip and his staff for all that they do.